While the discourse about child safety in recent times has focused on threats to educational institutes and rightly so, what is often passed over is the risk to children from the people around them at home, in their neighbourhoods, in the park, the people who come to deliver goods at home, etc. 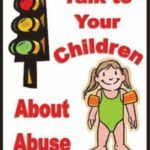 Kidnapping, physical assault, bullying are some of the risks young children are exposed to on a daily basis and require ongoing education to help the children bring it to the notice of a responsible adult. How do you assess the risk the risk? What actions, words or deeds of another person make me uncomfortable? Would you allow for a child in your care to be exposed to them on a regular basis? What happens when you are not there? — Have you prepared your child to report any inappropriate behaviour to you or some other responsible adult? How to minimise the risk? — Where do you hire them from? — Do you have their records? Visited their home at least once to familiarise yourself (especially for a maid and driver). Have seen their original ID documents. — What are the reasons for leaving the previous job or starting for the first time? Often you’ll find out through a difficult experience that the person may have been dismissed or left the previous role because of theft claims. — Experience in tending to children? Do not lock the bathroom door while bathing the child. Children shouldn’t be left undressed for an extended period (even in hot weather, a sleeveless top must be a minimum). Once a child is capable of walking and sitting on their own there’s no need to have them sit in the lap of the support staff for extended periods, even if it is while feeding the child. (Remember if a child gets used to sitting in everyone’s lap in your presence they’ll likely do the same in your absence and could be taken advantage of). Hugging and kissing by the nanny is acceptable but within reasonable limits. Anyone else doing so should immediately ring alarm bells even if the gesture is not offensive. The child at a young age is unable to discern what’s right and wrong particularly when it’s a regular occurrence. Correcting a child should never involve physical actions (spanking, using of objects to hit the child, etc). Inappropriate television programmes, video clips on cell phones must all be curtailed. Do not permit the support staff to take pictures of your child or any other member of the household. In today’s world of smartphones and rapid internet connections it calls for even more vigilance. Children while commuting in vehicles must not be permitted to sit in the lap of those driving the vehicle. Aside from the safety risk, the child is given a conflicting message on the appropriateness of sitting in the lap of someone. Car seats are the solution. Easy to set up cameras are available in the market and are particularly an effective way of monitoring. These can be set up to allow remote monitoring as well. You know what’s wrong; your staff knows what’s wrong but don’t forget the child. — Learn to recognise the difference in your child’s mannerisms (particularly when hiring a new support staff member). — Identify who the child can reach out to in case you aren’t around and they feel violated in any way. — Situations can vary but what is essential for the child is to understand that they must bring it the attention of someone. — Teach the child what is inappropriate with the aid of books, videos or just your own words and actions. Never accept anything from a stranger (toys, eatables, money, etc.). Never go to confined spaces with a stranger even if it comes with a promise to return their toy, ball, etc. that may have gone there. Never leave with a stranger unless an adult, they trust, has asked them to do so. Differentiate between a safe and unsafe stranger — policemen, teachers, security guards are considered safe but care and caution apply here as well. How you choose to address these dangers with a young child is ultimately down to you. However, choosing not to do so is enabling a criminal to take advantage of them in your absence. There are plenty of resources online and a quick internet check will get you going. 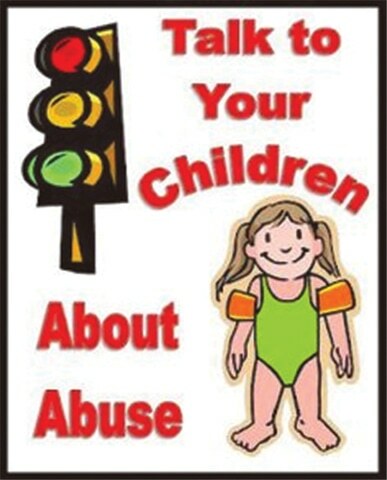 Do not hesitate to seek professional help, not just for the child but for yourself too, in the event of a trauma. Children heal faster but actions of adults in caring for them post-trauma will ultimately shape their future.